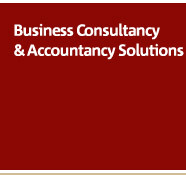 B&S Accounting Ltd is a well-established and progressive firm of accountants based in South London. We specialise in owner-managed businesses, business start-ups, small-to-medium sized companies. We also provide personal tax services and tax planning advice to individuals. Business and personal clients alike appreciate our dynamic approach and excellent quality of service. We pride ourselves on understanding individual business needs. Whether you are a large owner managed business or a small business poised to grow we are here to assist. Whatever your needs, you will receive an excellent level of service. If you would like to take advantage of a free consultation to discuss your needs, please telephone and ask for one of our team, or email us .